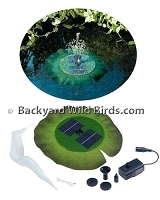 Water fountains can be artistic falling waters tabletop fountains for indoor use or outdoor water fountains for in solar bird baths and ponds. The sound of falling water can be very peaceful and relaxing. 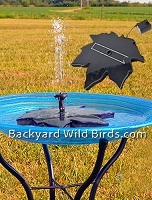 Cascading Rock Water Fountain is an artistic falling waters tabletop fountain. This rustic hand glazed porcelain fountain is 10.5" tall with three falls.